Look out! Here comes Petey Penguin! He is prepared and ready to put out any fire. 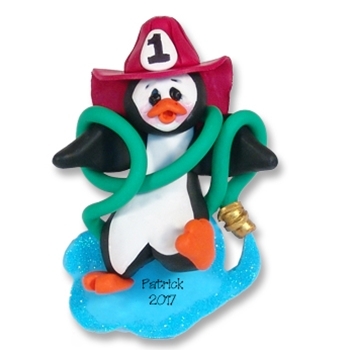 This personalized Christmas ornament is the perfect personalized ornament for any fireman you may know. My new collection of Limited Edition ornaments are hand made by me from polymer clay, This particular personalized Christmas ornament is part of my Petey Penguin collection.